Uruguay is working to position itself as a leader in robotics and programming. We invite you to read OLPC’s 2017 Annual Report! 2017 was a year filled with growth and celebration, as programs continued to expand and positively impact students, teachers and communities. A key component of each OLPC educational program is sustainability. Implementing a sustainable educational program requires an effective, long-term technical support strategy. 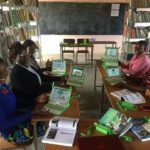 OLPC works with local teams to develop a system and processes to deploy the laptops and to provide ongoing maintenance and technical support services. OLPC designs technical platforms that include integrated infrastructure and connectivity in order to provide secure internet access and a security system which disables the use of the laptop in case of loss or theft. These platforms are created with the input and guidance of local stakeholders in an effort to address local needs. OLPC’s technical support services include customization of the operating system and content. We provide training on the technical processes of maintenance, repair and disassembly of the laptops. We help each program to create a system to manage spare parts for the laptops. We work with local teams to define and design connectivity requirements to ensure internet access in every participating school. We advise local teams as they configure, install and administrate schools servers and support infrastructure, including the laptop’s security system. OLPC’s technical support services facilitate the development of local capacity and ensure the long-term sustainability of each educational program. To learn more, visit http://www.laptop.org. Earlier this month, Liaison Technologies joined forces with One Laptop Per Child (OLPC) to support education in Central America. Thanks to a generous contribution from Liaison, the OLPC education program in Nicaragua implemented by the Fundacion Zamora Teran has expanded to include children in the Bautista Betania School in Sandino City. OLPC is a non-profit organization created to provide every child in the world with a quality, innovative education. 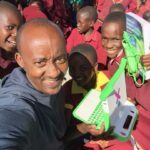 As part of its comprehensive education program, OLPC provides each participating student and teacher with a rugged, connected laptop computer, in addition to the training and support needed to realize each student’s full potential. 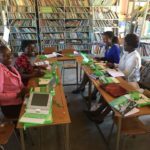 OLPC provides on-going teacher training and technical support training to participating schools, as well as a monitoring and evaluation program. 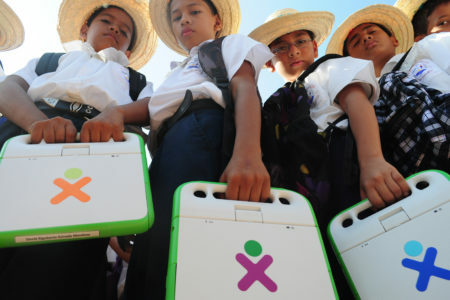 OLPC’s partner in Nicaragua, the Fundacion Zamora Teran, has implemented the OLPC education program with more than 65,000 children throughout Central America. As a leader in cloud-based integration and data management technology, Liaison Technologies is shaping the integration marketplace with innovative solutions designed to meet today’s toughest data challenges. From complex integration and data management to the brave new frontiers of big data, Liaison’s secure solutions break down data silos, reduce inefficiencies, and uncover actionable insights. 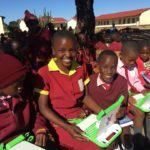 Liaison Technologies chose to partner with OLPC as part of its ongoing mission to make a lasting impact in and beyond the communities they live, work, and serve. Liaison is committed to helping forward-thinking organizations unlock insights that have the power to sustain our planet, revolutionize lives, and improve societies. With this contribution, Liaison is supporting OLPC’s efforts to transform education, lower the barriers to technology in Central America and provide a brighter future for all. For more information, please visit Liaison Technologies and OLPC. OLPC is grateful for Liaison Technologies for its continued support for education! 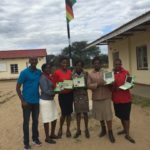 This past week, the OLPC team provided teacher training to teachers from Ngamo Primary school in the Linkwasha region in Zimbabwe. 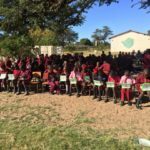 Thanks to a generous donation form Henny’s Kids, OLPC laptops and teacher training were given to participating students and teachers. Now the team is on its way to Zambia to provide additional laptops and training as part of the OLPC education program. Stay tuned for more details! Thank you to Henny’s Kids for its support! Teachers participate in training provided by OLPC. Eager to get started exploring! Teachers empowered with new teaching methodologies!